We’re kicking off our new mini-series on how to buy an airplane. This week, the pros and cons of aircraft ownership and how to define your mission so you can get the right airplane for you. Plus, our Sun n Fun 2018 meet up and a new AD affecting some Beechcraft Bonanzas. In this episode, we continue our ongoing series about how to buy an airplane. This time we discuss how to research the market and select an airplane that meets your mission, budget, and other requirements. Plus aircraft ownership news and Don’s Tip of the Week. Today we’re focusing on the pros and cons of aircraft ownership, and later we’ll talk about how to define your mission. Be sure to stick with me until the end because I’m going to share some free tools and resources that you can use during this whole process as well as some advice that you might find useful. The underlying message that you’re going to hear over and over again during this series is something like this: plan, plan, plan – and plan early to avoid surprises, save time, save money, and ultimately make better decisions. The more informed you are, the more successful you’re going to be if, and when the time comes to purchase an airplane. This applies whether you’re buying your first airplane, or you’re stepping up into a larger, faster, or more complex airplane. You’ve got to keep your ego and emotions out of the entire process and be as open-minded and proactive as possible. You’re likely listening to this podcast episode because you’re considering purchasing an airplane. I think it’s safe to say that most pilots have dreamt about owning their own plane, but seemingly few ever turn that dream into reality. In fact, there are only about 200,000 GA aircraft owners, which include corporate jets mind you, compared to the approximately 590,000 active pilots in the United States. Fortunately, the number of aircraft owners is growing as more and more people realize that ownership is more accessible than they once thought. However, the question you should be asking yourself is, “Is aircraft ownership right for me?” It is often believed that owning an airplane is cheaper than renting. While true in some cases, it alone does not justify taking the leap and buying your own plane. You’ve got make sure you’re comparing apples to apples here. If you currently rent a 172 for $120/hr wet, but only fly 25 hours per year, you only incur about $3,000 per year in flying costs. In this instance, ownership does not make a lot of financial sense. While you may only be paying $50 per hour to fly your own 172, your fixed and maintenance costs will likely exceed $3,000 per year. On the other hand, if you’re renting that same 172, but flying 75-100 hour per year, you’re forking out about $9,000-12,000 per year in flying costs, likely 2-3 times more than what it would cost to own that same 172 outright. So one of the first thresholds you should consider before deciding whether to buy is how many hours per year you plan to fly. Now most of us don’t want our first airplane to be a 172. We’ve been training in 172s and Cherokees during most of our pilot career, so we want something sleeker, sexier, and faster – something like a Mooney, Bonanza, or Cirrus. Understandable, but you must use completely different metrics to justify owning such an airplane. More on that later when we discuss your mission, but the question becomes, “Can I realistically afford to purchase an airplane?” I say realistically because you may realistically be able to afford that 172, but not-so-much the A36 Bonanza you’ve got your heart on. Another way to approach this is by understanding your needs for an airplane. In other words, why do you want to buy an airplane and how do you intend to use it? Are you planning on purchasing an airplane to build time in? To get a $100 hamburger? Perhaps you want to take personal XC trips with your family, or you need an airplane for your business, or even to instruct out of. Every situation is unique, and every need leans toward different airplane types. Again, more on that later. A question we’ve been getting a lot lately is, “Should I buy an airplane to do my training in?”. The short answer is a big fat NO! This approach rarely works out in your favor, especially if you’re a student pilot. First and foremost, if you’re a student pilot, or a low-time private pilot, you simply lack the knowledge, experience, and expertise to take on such a large responsibility. Additionally, owning an airplane does come with certain responsibilities and those responsibilities will likely distract you from your training, which is what you should be more focused on. Not to mention, training is hard on an airplane, making it more susceptible to wear and tear as well as maintenance troubles. Over time, these issues can really slow down your training. Insurance is another consideration. It will be quite difficult for you to get insurance on an airplane as a student pilot or low-time private pilot. If you plan on financing the airplane, interest rates will likely be higher also. My advice: It’s best to wait a little bit to build some time, at least 100 hours, and get some experience under your belt before taking that leap. Getting your instrument ticket will also reduce insurance premiums. That said, once you’ve built that time and have your instrument, buying a small plane like a 152 is great for time building towards your commercial, CFI, or ATP ratings. With some of the preliminaries out of the way, let’s discuss the pros and cons of ownership. I’m going to try to be as honest and realistic as possible here so you can better assess whether aircraft ownership is right for you. I realize that some of you listening are less affected by budgetary constraints than others, so not everything I’m going to say here is going to apply to everyone. Those that don’t fly may not understand the practical and often intangible benefits of aircraft ownership. Many may view an airplane as a toy, similar to a boat or nice sports car. While there may be a few of us that think along those lines, airplanes are much more than mere toys. When you really think about what an airplane is and what it can do for you, it’s really quite amazing. In a nutshell, airplanes are time machines, allowing us to travel long distances in a relatively short amount of time. That 3 hour drive can be accomplished in less than 30 minutes, even in a small and slow airplane. I can think of a number of cases where flying a GA airplane gets you to your destination much quicker and easier than flying commercial. Not to mention, flying GA gives you access to more than 10 times the airports and cities than commercial airlines. As put so eloquently by our friend and fellow podcaster Tom Wachowski of the Private Jet Podcast, GA airplanes aren’t just time machines, they’re relationship machines. They have the power to help us be productive and still make it home by dinner. They allow us to meet our customers face-to-face, as well as travel with our family and friends to fun and exciting places. The first major benefit of aircraft ownership is that it buys you the freedom and flexibility to virtually fly anywhere you want, when you want. When compared to renting or flying commercial, you don’t have to worry about scheduling conflicts or daily utilization rates, and alike. You simply head to the airplane, preflight, and go. In other words, the airplane is always available whenever you need it. You can make last-minute trips and keep the airplane away from home base as long as necessary. This is really attractive to those needing an airplane for business, long family trips, or new adventures. These sort of trips are often not practical in a rental airplane due to scheduling conflicts and daily usage requirements. Not to mention, with your own airplane you gain massive flexibility in the event your trip has to be extended due to weather or other obligations. The second major advantage to aircraft ownership is increased safety. When you own your own airplane, you’ll likely fly more often, making you a safer and more proficient pilot. You’ll become intimately familiar with its handling characteristics, quirks, and performance limitations, too. You’re also less likely to take unnecessary risks in an airplane you own, and you’ll probably be able to handle emergencies more effectively as you learn more about the systems. This is especially true when you train with your own airplane, say for your BFR, IPC, commercial or ATP tickets. As the owner of the aircraft, you’re also able to install safety-enhancing equipment as you see fit. Additions such as engine monitors, WAAS GPS, ADS-B In, storm scope, autopilots, and synthetic vision come to mind. If you plan to do a lot of instrument flying, adding a second vacuum pump may be a good idea, or better yet, installing electronic attitude and heading instruments such as the Aspen or Garmin systems. Yet another advantage to owning your own airplane is what’s often referred to as operational control. As the owner, you have the power and authority to determine how and where the airplane can be flown, by whom, and when it can be flown. You’re the boss essentially, establishing your own procedures, limitations, specifications, and minimums. You can organize the maintenance records the way you like, keep a flight log, and streamline the administrative side of ownership to best meet your needs. Along that same line, you’re also in control of how the airplane is maintained. You can develop a maintenance program for your airplane to minimize downtime and maximize reliability. You can schedule inspections at a time and location that is convenient for you; you can even participate in some of the maintenance tasks of your airplane by performing approved preventative maintenance or owner-assisted maintenance. You can also decide which squawks you want to fix or defer, and which manufacturer service instructions you comply with. We can help you develop a maintenance program or help manage your aircraft’s records as part of our coaching program. Another benefit of owning your own airplane is financial. Depending on your situation, it’s possible to write off some or all of your aircraft’s expenses on your income taxes. Consult a tax attorney or your accountant for specific information about this. Also, depending on how the airplane is maintained and some other variables, it’s possible to sell the airplane for equal or greater value than you paid for it. The final benefit I’ll mention here is quite intangible. As an airplane owner, you’ll meet a lot of great and interesting people in aviation – from other owners and pilots, to mechanics and aviation enthusiasts. You’ll really feel that sense of pride and realize just how special flying is. There’s something exhilarating and empowering knowing that you can fly your airplane virtually anywhere you want, anytime, with confidence, safety and reliability in mind. Now for the flip-side of that coin. Aircraft ownership undoubtedly has a lot of benefits, but it also comes with significant disadvantages as well. 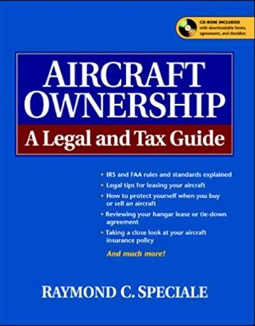 First and foremost, owning an airplane is expensive and comes with a lot of responsibilities– from operating expenses, maintenance, and training costs, to record keeping, paperwork filing, and scheduling, you can expect a significant investment of money as well as your time as an aircraft owner. We’ll get into more details on aircraft ownership costs in another episode in this series. The first and most obvious expense is the purchase price of the airplane, perhaps your largest upfront investment. While you may be able to afford the asking price or get financing, realize that the purchase price of any airplane is just the cost of admission. Also, the purchase process itself has supplemental expenses in addition to the purchase price, for example the prebuy, title search, and delivery the airplane. Not to mention, the purchase process can be incredibly time consuming – researching the market, speaking with owners, making arrangements to see the airplane, evaluating the airplane, speaking with insurance agents, trying to get financing, the list goes on. Another disadvantage of owning your own airplane is that as the aircraft owner, you are 100% responsible for keeping the airplane safe and airworthy at all times. This means completing all required inspections, complying with ADs, maintaining proper records, filing paperwork, and keeping up with scheduled maintenance. You may also be liable for damages or injuries incurred while someone else is flying your airplane. Also realize that if you neglect to get a good prebuy, anything wrong with the airplane, such as unairworthy squawks, unapproved equipment, undocumented maintenance, outstanding liens, etc. become your problem as soon as you close the deal. All of these responsibilities tend to take some of the joy out of owning your own airplane. You may even realize that renting was a lot simpler and less stressful. Ownership also brings a lot of reoccurring expenses – money spent regardless of whether the airplane flies. Expenses such as hangar, insurance, annual inspections, and even property taxes reoccur every year. Again, we’ll cover these costs in more detail later in this series, but I want you to get used to the idea that there’s more to owning an airplane than many pilots realize. Another area that is often overlooked is the impact aircraft ownership may have on your family. While many have the best intentions when purchasing an airplane, and often have support from their families, ownership may cause some friction down the road if the airplane ends up costing you more than you planned, or when you spend your weekends at the airport doing maintenance or handling administrative duties. It’s best to know as much as possible going into to it so you can educate your family on what to expect. Another disadvantage that is often overlooked is when you own an airplane, is that you’re often limited to flying a single airplane. After all, it may be difficult to justify the expense of renting a different airplane for a change of pace. Though I do recommend flying other airplanes when possible to keep your skills sharp and mind engaged. For example, if you own a 172, it might be a good idea, or even necessary to fly an Arrow once in a while, or a tail dragger or twin to stay current with any other ratings or endorsements you have. The final point I’ll mention here is that no matter how well you take care of your airplane, things are going to break, and when they do, it might not be a cheap fix. In addition, eventually the engine or prop will need to be overhauled. Overhauls aren’t cheap either and it often means that the airplane is down for an extended period of time. Be sure to plan ahead for this inevitability by setting aside a maintenance fund in a separate account. You can set aside a predetermined amount every month or roll into your hourly costs. I’m not telling you all this to scare you or deter you from owning an airplane. I’m telling you this so you have the facts to make the best decision for yourself and your situation before it’s too late. Owning offers massive flexibility and freedom, but it isn’t for everyone. Now that you know the pros and cons of ownership, what are some alternatives to aircraft ownership? Several come to mind. First, you can enter a co-ownership or partnership arrangement to help increase buying power, offset costs, and divvy up responsibility. Check out our Plane Partnership Program to learn more about partnerships at www.PlanePartnership.com. You can also join a flying club. Flying clubs are often much less expensive than renting from a flight school and most FBOs. My local flying club lets me rent a Cessna 172 with a new panel for $75 per hour. Again, without getting into all the details, there are two basic types of flying clubs: equity and non-equity. Equity-based clubs you actually own a share of an airplane, meaning you’re partially responsible for ownership and maintenance costs as well as administrative duties. Often, the cost per hour is less than the non-equity club where you pay a monthly fee for a discounted hourly rental rate. Now that you’ve decided aircraft ownership is right for you, it’s time to start getting a plan together. Before you hit the market, you’ll save yourself a lot of time, frustration, and money by first selecting the best make and model airplane for you. While many airplanes are in the same class or category, each airplane make, model, and type doing certain things well, and other things not as well. Most of these differences are subtle, but have a massive impact on the success of your ownership experience. General aviation relies on pilots, mechanics, and aviation enthusiasts like us to do our part to ensure the long-term success of our beloved industry. This means we need safe and responsible aircraft owners. If you get in over your head with an aircraft purchase, chances are you’ll never buy an airplane again. If that happens enough times, our industry as we know it will literally disappear. The very first step you should take when you decide to purchase an airplane – whether it’s your first or your twenty-first, is to accurately and thoroughly define your mission so you can select an airplane that will fit your needs and budget most effectively. In our aircraft ownership coaching and prebuy practice, I can’t tell you how many times people attempt to purchase an airplane that simply won’t meet their mission profile. By mission, I mean how you will be using the airplane. You’re essentially going to assess your needs by asking yourself a series of questions, then taking the answer to your questions to form a 3-5 sentence statement justifying a specific airplane. That is your mission. Your mission should cover your typical trips – trips that you’ll make about 80% of the time. There’s no need to buy a pressurized twin just to make a cross country trip from Florida to Colorado once a year... For those unusual trips, take the airlines or rent a plane. What are some questions you should be asking yourself? Well, I’ve put a downloadable checklist into the show notes that goes into a lot more detail, but some questions you should be considering include how many hours per year you plan to fly, how the airplane will be used – personal, business, flight instruction, etc., the kind of terrain and geography you plan to fly over, water or mountains for example will have different requirements than trips over the flatlands. Other questions to ask include how long the runway is at the airport you plan to base the airplane. You obviously need to make sure that the airplane you choose has the capability of operating out of that airport. Another important determination is how much you value fuel burn over speed. It’s possible to get an extra 15-20 knots out of a high-performance retractable. Depending on the length of the trip, that extra speed may only save you 15 minutes over a fixed gear, lower performance airplane, but cost you twice as much in operating, maintenance, and annual expenses. If you’re flying 100 hours per year, the airplane that burns 10 gallons per hour is going to save you 500 gallons per year over an airplane that burns 15 gallons an hour. That’s $2,500 saved a year just in fuel costs. I think you see where I’m going with this. The final area I’ll mention here is to consider your allowable budget for hourly operating costs and annual fixed expenses. If you don’t like paying $120 an hour for the club 172, then you’ll really hate spending the $200 per hour for the 210 you have your heart set on. The more it costs per hour, the fewer hours per year you’re likely to fly. I plan to fly 75 hours per year, mostly for business trips through the Midwest up to 500 nautical miles. I plan to carry up to one additional person and 50 pounds of cargo on most trips. I need an airplane with a full-fuel payload of approximately 500 pounds. I am instrument rated and plan to fly IFR. Since the airplane will be used mostly for personal business, speed is more important to me than efficiency. I plan to base the airplane at my home airport which has a 4,000 foot runway and instrument approaches. My maximum all-in cash budget to buy the airplane is $95,000 and I can afford to spend up to $10,000 per year in annual fixed and maintenance costs. I prefer high-wing over low-wing for ease of getting in and out of the airplane. I also prefer a fixed-gear airplane to save on maintenance and inspection costs. Just from the above information, we can eliminate about 75% of the airplanes out there. You can even go further by diving into your training and experience. For example, if you don’t have a high performance-complex endorsement, you may want to stick with a fixed-gear airplane. You may also want to consider cabin dimensions if you have a larger or smaller than average frame. Once you write your list of requirements, you can create a spreadsheet to spec out each make and model airplane you think you’d be interested in, then crosscheck their capabilities with your requirements and experience. I’ll post an example spreadsheet in the show notes. Once you have your mission in mind and have narrowed the search down to two or three makes/models, the next steps are to join a type club, speak with owners, and try to at least sit in the airplane model you’re considering, if not fly it. This way you know for sure if it feels comfortable and is something you can live with. For example, if you’re 6’4”, the cabin of a Mooney probably won’t work out too well. If you’re elderly, a low-wing airplane may be difficult to get in and out of. If you’re short, some instrument panels may be too tall, etc. By then end of this process, you should be able to narrow your search to a single make and model. Now you’re ready to hit the market in search for the right airplane. We’ll talk more about that in part 2 of this series. For some final advice, I recommend a doing a few things. Number 1, purchase an airplane based on your mission rather than your emotions. 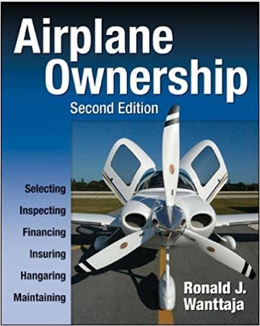 Number 2, take some time to learn as much as you can about aircraft ownership by reading articles and books. I’ve posted a few book links that I recommend in the show notes that you can get inexpensively from Amazon. Number 3, speak with owners of the airplanes you’re interested in buying. Find out some of the pros and cons of that specific make and model, costs, quirks and alike. You can accomplish this by hanging out at the airport or joining a type club, or reading their forums. Number 4, build a support team early. You want to have the right team on your side while going through this process. Of course Don and I can help you through our aircraft ownership coaching program, but you’ll also want a good flight instructor, A&P, aviation insurance agent, and banker that specializes in aviation financing. Number 5, when it comes to choosing an airplane, always balance the costs against the convenience. Finally, be realistic, be patient, and be responsible. Whew, that was a mouthful! I realize that all this might seem complicated – but it’s not. You simply think through how you’re going to use the airplane and what your budget is then match that with the capabilities and operating costs of the makes and models you’re interested in. There’s no need to overthink this process, it’s just a matter of getting what you already know on paper. If you’d like more help with this, feel free to reach out to us for a free 30 minute consultation. You can also sign up for our coaching program at airplaneprebuy.com/coaching. A 2 hour session is just $95. I hope you found this information helpful. Be sure to let us know what you think or add to the conversation by sending your feedback to Feedback@AirplaneIntelPodcast.com. Also, be sure to hit up the show notes for additional links and videos that we’ve posted. 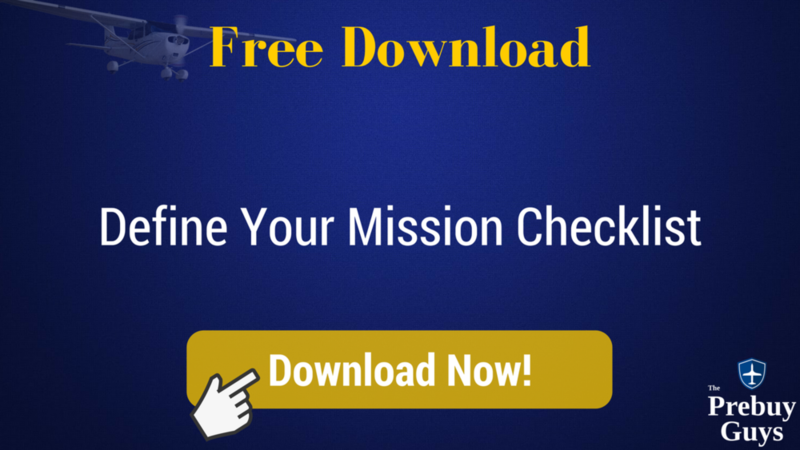 I’ve also developed a mission profile checklist, added a sample make/model comparison spreadsheet, and posted an acquisition cost calculator to the show notes. You can access the show notes at airplaneprebuy.com/042 or by tapping the link in your podcast player. Now that you’ve defined your mission, you should have a pretty good idea of what aircraft makes and models will best serve you. You should also have a list of desirable specs and equipment you’d like to have such as avionics, performance mods, paint and interior, and acceptable airframe and engine times. Finally, I hope you have an idea of what type of training you’ll need to safely fly your desired airplane and spoken to your support team to get an idea of insurance costs and financing. With this checklist complete, you’re ready to hit the market. However, searching the market can be a lot easier said than done. On Controller alone there are 1,453 single-engine airplanes for sale, 755 twins, 780 turboprop, and 1,384 jet aircraft for sale. Even after you zero in on a single make and model airplane, you may be dealing with dozens, if not hundreds of listings. There’s really no one-size-fits-all method for searching the market. Sometimes you get lucky and find the perfect airplane in a matter of minute. On the other hand, it may take months. The key is to be patient and try not to get attached to the first airplane you see. There’s really no way around it – sifting through ads is extremely time consuming. And at this stage of the game, it’s usually difficult to tell if the airplane you see in the listing is being represented accurately and honestly. However, with your checklist completed, you should be able to accept and reject aircraft listed online fairly quickly. At this stage, the objective is to eliminate as many aircraft as possible as quickly as possible. Essentially you want to be left with a list of about 3-5 airplanes that you’d like to research further. I’ve found that it helps to create 3 lists when going through the market. One list contains airplanes that meet most of your requirements; this is your yes pile. The second list should contain airplanes that meet some of your requirements, this is your maybe pile. And the third list is your chuck it pile – aircraft that are a definite NO based on your needs and preferences. You can start by getting an idea of the differences in configurations and performance between aircraft of the same model. For example, the Cessna 210 has a variety of engine options, seat arrangements, and mods available. If you want a 210 without gear doors, start searching the M model or earlier models with the gear door mod. If you need a turbocharged airplane, don’t even bother looking at normally aspirated versions. Doing a quick Wikipedia search will help sort out the subtle differences between models. You can also check in with online forums and owner-type clubs. I think Don is also going to contribute some information about researching airplane makes and models. Next, if the asking price is significantly over your budget, cross them off your list – don’t even bother looking at them. IF the asking price isn’t shown and the specs are good, put it in your maybe pile. You may choose to inquire later to get an asking price. You may also choose to begin your search by only looking at airplanes within a certain geographic radius or location. You might also choose to narrow down the listings by the detail of the ad. If there aren’t a lot of pictures or the pictures are low quality, it’s usually best to move on—at least for now. If the ad doesn’t specify total times or inspection status, move on. At this point, it’s not worth making phone calls to get answers to questions that should already be in the ad. On the other hand, If the listing has downloadable logs or other data, or a detailed spec sheet listing the installed equipment and modifications, that’s always a plus and usually a sign of a good airplane and astute owner. As you start seeing airplanes you like, do a quick Google search for the N# and Serial number. If you’re lucky, you might uncover some undisclosed, or at least interesting information about the airplane including damage history or previous sales ads. Here are some questions you may want to ask the owner or broker of the airplane. 2. Is the airplane’s registration current? 3. Do you have more photos available? 4. Is the airplane available to see and fly? 5. When was the last annual inspection and who performed it? 6. How many hours per year has the plane been flying? 7. What was the date of the most recent engine overhaul? What type of overhaul was it? Just because the engine only has 200 hours since overhaul doesn’t mean the engine was overhauled recently. I’m going to post a list of other questions you may want to ask into the show notes at AirplaneIntelPodcast.com. And of course you can always send us an email or give us a call for more insight for specific questions to ask for a given situation. Now that you have some more information on your prospective airplanes, your list can narrow further. By now you probably have a small handful of airplanes left. How you proceed from here may vary depending on a few factors. 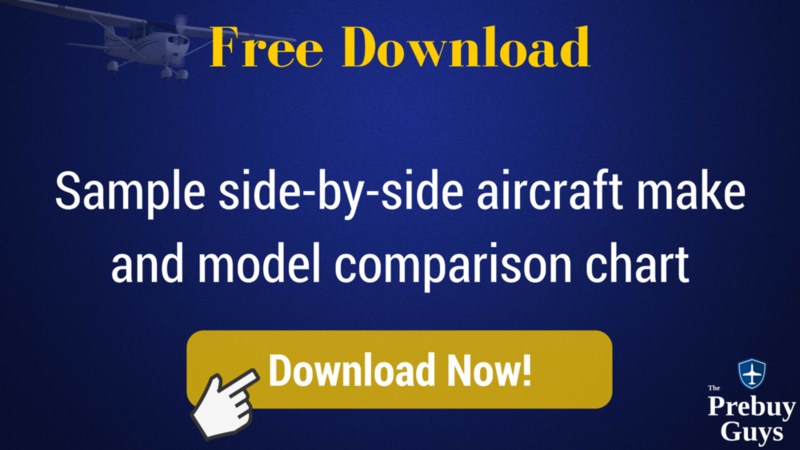 Sometimes it’s helpful to do a side-by-side comparison on the remaining aircraft where you compare aircraft specs, equipment, avionics, and general condition. At the end of this exercise you may be able to eliminate an airplane or two, or at least prioritize the remaining airplanes in order of most desirable. On the other hand, you may just go with your gut and zero in on a single airplane without spending too much time analyzing data. The key is to balance out analysis and action. Sure you want to get the facts, but spending too much time on crunching numbers can lead to your top choice airplane being sold before you make a move. Once you’ve decided on an airplane or two, it’s time to start investigating that specific airplane. This is also a good time to enlist the help of your mechanic. Typically what we do for our customers is order the FAA records. You’ve heard Don and I talk about these records a number of times now. In a nutshell, the FAA records tell the airplane’s story – who’s owned it, where it has lived, if there are any unreleased liens reported to the FAA, what equipment has been installed, and whether there has ever been any major repairs or damage history. As I said, the market today moves very fast. We can order the FAA records and get them same day. Once received, we send you a copy for your records then schedule a time to go over all the data. After reviewing the records you’re armed with a lot of information about the airplane and can decide whether to continuing pursing this airplane or move on to the next one. Next, it’s important to do a thorough logbook audit. Reading the logbooks will indicate how well the airplane has been maintained, how frequently maintenance was performed, and of course if the airplane is in current inspection status. Like the FAA records, reviewing logbooks can be tedious and complicated at times, so having the right set of eyes reviewing the data will save you a lot of time and confusion. From here, you’ll use all the data and information you learned about the airplane to make to decide whether to get more serious about the airplane or move on. If everything checks out so far, it’s time to schedule a prebuy evaluation—one of our favorite things to do. Again, there’s no one-size-fits-all approach here. Sometimes the owner will welcome you and your mechanic to do the prebuy without reservation while others will insist on either a deposit and/or signed purchase agreement before the prebuy. We’ll get into some of the specifics of the transaction in a later episode in this series.